Pablo de Sarasate was one of the most successful violinists in history, reigning supreme as an incandescent musical personality in the days when violinist composers were a significant feature of concert life. Tianwa Yang has been described as “an unquestioned master of the violin...the rarest of violinists” (American Record Guide), and each volume of these stunning works for violin and orchestra has been received with great international acclaim. 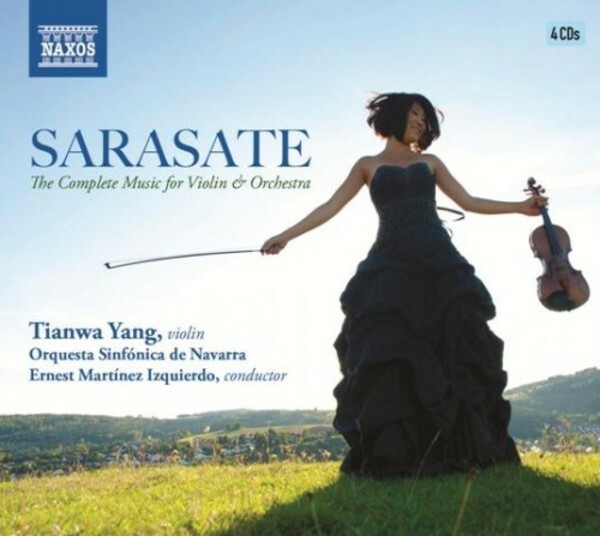 Yang has achieved recognition as one of the world’s outstanding instrumentalists with the 2014 Annual Prize of the German Record Critics for her Naxos recordings of the Complete Music for Violin by Sarasate, and she was named the 2015 ECHO Klassik Instrumentalist of the Year (Violin) for her Ysaÿe 6 Sonatas for Solo Violin [Naxos 8572995].